Did you have awonderful Easter weekend? We did, though it was also laid back with some time spent outside enjoying the wonderful weather! For this painting I am trying out a new style of frame. 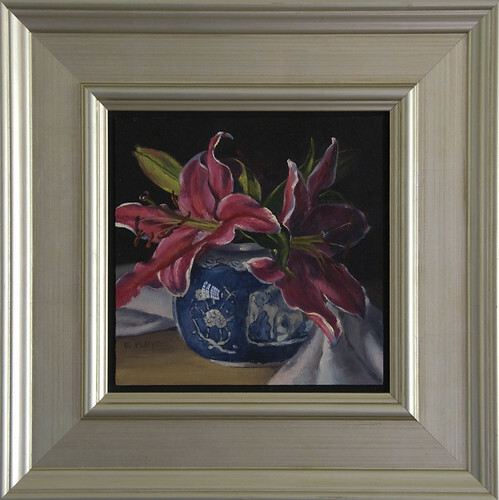 Initially I had this painting in the gold trimed dark frame, however I thought it was too dark. 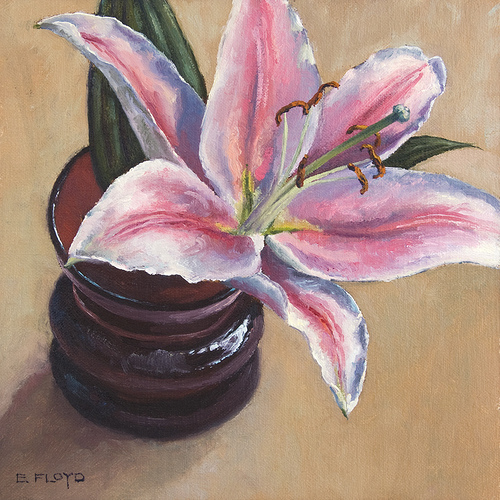 This silver frame brightens the whole painting, bringing out the white edges of the petals. I hope you like it as well. Finally the days are getting longer and brighter! 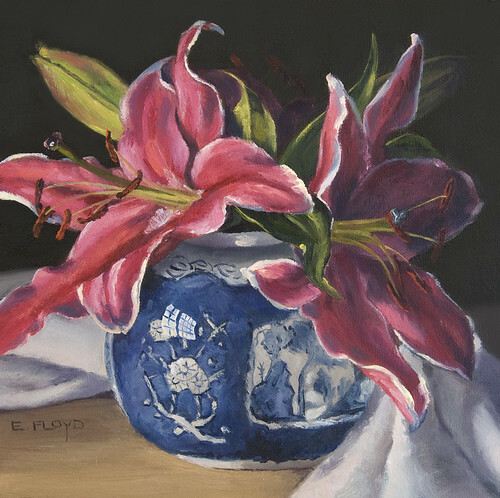 To me every still-life painting has an overlying emotion, and often I am drawn to setups that are calm, maybe quiet, and always filled with color and life. These lilies seemed to be a pair, like two friends hanging out and sharing the company with another. In this case, the new addition to my still-life collection, a small rice bowl. Also, this weekend I began to work on a list of frequently asked questions (FAQ) about this series, Bountiful Observations, like what inspired it, my process, and such. If you have a question about the series, please leave your question in a comment and I will incorporate it into my answers.